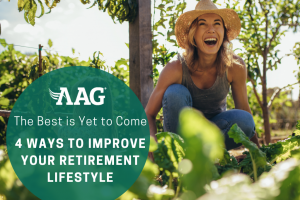 Are you excited to sit back and relax during retirement? 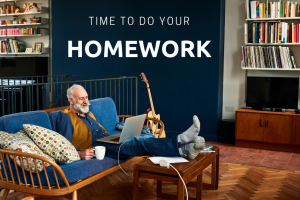 Doing nothing at all sounds fun in theory, but after a couple of months or years, you might start to get restless at home. Or maybe you’ll discover you don’t have quite enough money to live the lifestyle you desired or go on the vacations you wanted to pursue. Fortunately, there are countless ways to make money in retirement right at your fingertips! Each activity we’ve listed is easy to launch and won’t require large start-up costs. Within this list, you may find a fascinating niche that could soon be helping you earn extra income. From driving to writing, there are numerous avenues for earning more cash, which are all easily accessible with the help and convenience of modern technology. In addition, these endeavors will keep you busy, active, and socially engaged within your community. Whether or not you need extra income during retirement, every activity listed is fun regardless. Besides, people who have the most fun making money are the ones who feel as if they’re not working at all! Studies have shown that aging brains are more creative because of higher Crystallized IQ test scores. You’ve also accumulated a lifetime of knowledge, which can add to the additional creativity you experience at an older age. With a little extra brain power and free time, this sounds like the perfect reason to start writing a book! Maybe you have an idea for a fictional tale you want to share with your grandchildren. Or perhaps you want to offer business or consulting advice to younger people pursuing the same career path as you did. The options are endless! Nowadays publishing a book can be quick and easy with direct publishing to Kindle. This is always an option to consider if you don’t want to use a publishing agent. This is another fun option for the creatively-inclined. There’s a good chance you already have a hobby or skill you love, so why not profit from your passion? Whether it’s knitting or painting, Etsy is a great place to sell handmade goods online without having to go to tradeshows or build up a brand name for yourself. You can also sell vintage or antique items on Etsy — there is a huge market demand for these goods! Browse through your old items you’ve had stored away for years and you’d be amazed at how much money you can make off stuff you don’t even use anymore! Do you love to host? Are you the life of the party amongst your friends? If so, Airbnb is a great way to gain extra income just by working at home. You’ll make hundreds of new connections with people across the world and have the opportunity to share stories about why you love your town. Sounds great, right? You can decide how often you want to interact with your guests. Some hosts rent out an entire private home, whereas others provide a shared space or private room with a common area. Hosts also have the freedom of deciding how often to make a space available, or even sublet a room which in the long run can make a steadier profit. Use the Airbnb Rent Calculator to figure out how much income you’ll gain. No matter how big or small your home is, there’s always a way to make it rentable to Airbnb users! Stocks might sound a little intimidating, but the challenge will help you stay engaged with current economic trends while simultaneously turning a profit! You can create a low-risk portfolio to ensure you never lose too much money either. Try to start one before retirement. This way your stocks have several years to grow and have time to recover during market dips. There are plenty of other tips and tricks to help you navigate investing, and fortunately the Internet provides ample resources if you need help along the way. To compete for your business, several online brokerages feature $0 account minimums and commissions for under $5 per trade. Did you know 50 percent of people between the ages of 65 and 74 who are online have a social media account? Twitter and Facebook are the most popular platforms among this group. But many plus-60-year-old influencers, like @moonlin0106 and @dinneranddance, are also proving fashion success doesn’t have an age limit on Instagram. So how do you become the next Moon Lin or Lance Walsh? Start by hashtagging your favorite brands and getting creative with unique photos and captions. Once you begin posting consistently, consider reaching out to certain companies and explaining to them why you’d be a valuable promoter of their business. Becoming a social media influencer is more and more common today, and companies who cater to senior citizens will need marketers with an authentic voice. There are millions of apps on smartphones that promote money-making services! You could be an Uber or Lyft driver, you could walk dogs on Rover, run errands for someone on TaskRabbit, take online surveys with Surveys on the Go, and so much more! Some of these apps may include tasks you’re already doing, which means you don’t have to drastically change your lifestyle to earn some extra cash. Other apps like Uber could be a full-time job or side hustle if you need to make some money in a hurry. With numerous opportunities offered through digital platforms and new apps, it’s time to take advantage of these resources and give your wallet some extra love.